University of California President Janet Napolitano answered students’ questions at a forum held at the University of California Washington,. Center on Thursday, April 12. The forum was attended by students from all nine UC campuses who are currently participating in the UCDC program that allows UC students to intern and take classes in Washington D.C. Before responding to questions, Napolitano and UC Washington Executive Director Helen Shapiro discussed Napolitano’s stance on the Deferred Action for Childhood Arrivals policy, as well as her lawsuit against the Trump administration for attempting to cancel the UCDC program. Following President Donald Trump’s vows to rescind the program, Napolitano, who established the program during her tenure as secretary of the Department of Homeland Security under former President Barack Obama, met with attorneys to identify the legal flaws of this action and has since sued the Trump administration to prevent them from rescinding the program. The lawsuit, which is currently before the 9th Circuit Court of Appeals, is expected to be decided on in early fall of 2018. “In the meantime, the government is continuing DACA, and 55,000 students have re-enrolled in DACA. We are urging Congress to make the [Development, Relief and Education for Alien Minors Act]a permanent statute,” Napolitano stated. Of the issues raised by students, many centered around the cost of tuition and the UC system’s support of undocumented students. “The University of California charged no tuition for California residents until 1970, and the 25 years after that, tuition cost less than $5,000. Why does tuition cost so much now?” asked a student from UC Santa Cruz. Napolitano acknowledged that the increase in tuition is not unique to California, citing that all states cut state funding for higher education during the 2008 recession. According to Napolitano, the University is working alongside the UC Student Association in Sacramento to advocate that the state legislature increase state funding for higher education, as well as prevent the state from raising the cost of tuition this upcoming year. 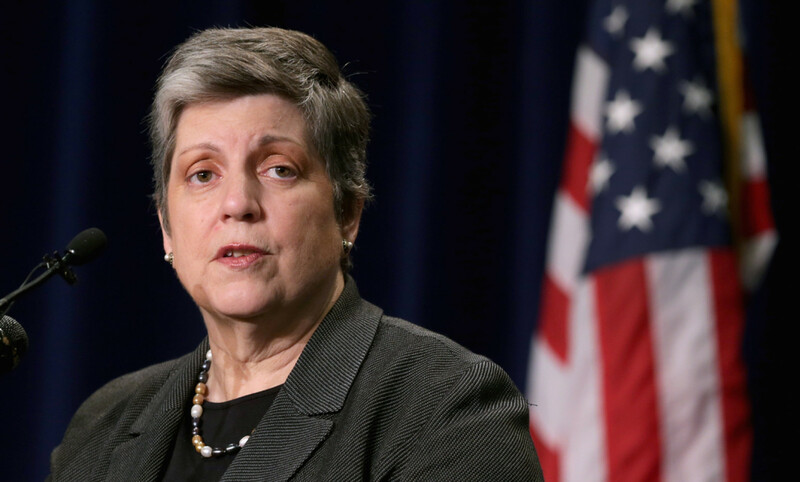 Napolitano referred the student to the UC Statement of Principles released in November, which was created to support and protect undocumented students. The document states that undocumented students and students without DACA status will receive the same consideration as any U.S. citizen applying for admission. “University police are not proxies for, or in joint operations with ICE agents — documents can’t be turned over without court orders. Our goal is to make sure that students are safe and not targeted,” Napolitano noted, not providing a definitive stance on sanctuary campuses. “Our plan is to finish building out [UC] Merced which currently has a student body of 6,500. We hope to have 10,000 students there by 2020,” stated Napolitano, who noted that any expansion is focused on adding to the facilities, classrooms, labs and housing of existing campuses, rather than the construction of an additional university.